Dusk is falling as we head outside. It’s time to catch fireflies. Our boys run around the yard, chasing the fireflies as they light up and then fade into the dim evening light. Their little hands reach into the bushes, down toward the grass, and up into the sky, as they try to capture the magical little creatures. 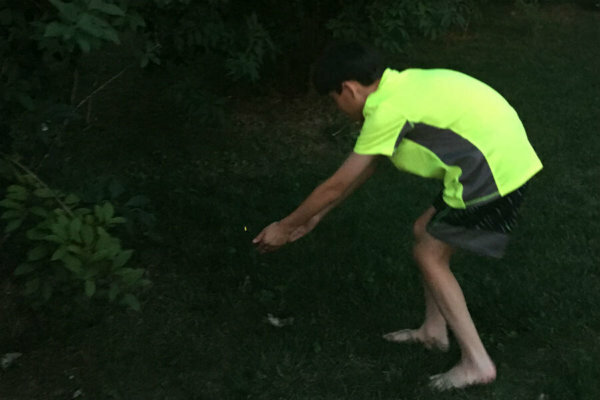 As soon as one of the boys has a firefly in his hands, the search is off. 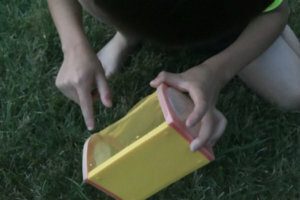 They sprint to the insect cage and work together to place the firefly inside it safely. Sometimes it escapes, which is disappointing. But there’s always another firefly flying nearby, and the hunt starts all over again. I love the excitement and energy our children bring to this encounter with nature. We know they’ll release the insects soon enough, but there’s something wonderful about seeing how many fireflies they can catch before bedtime comes. The evening flies by, and darkness falls quickly as I watch our boys race around the yard. I catch a few fireflies myself to add to the collection. And I find myself wondering, when do children outgrow firefly catching? It occurs to me that one summer the fireflies’ lights will dot our yard, and we won’t have a little boy standing at the door all afternoon watching and waiting for them to appear. As I watch our children grow, I often wonder whether they are about to leave yet another chapter of childhood behind. I try not to be sad as they move on from one to the next. I am so grateful to see them mature and grow into themselves. But as much as I enjoy each new stage, I am never in a hurry to leave a stage behind. I find myself wanting to reach out to our little boys, wrap my arms around them, and capture this moment forever. But I also know one day I will have to let them fly and share their lights with the world. But not quite yet. Tonight we are catching fireflies.